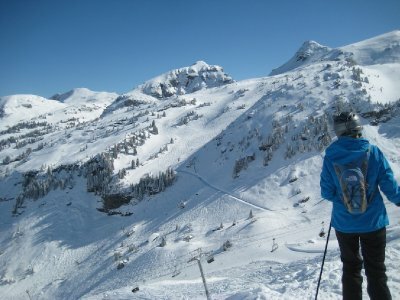 View Ski Trip March 2012 on GregW's travel map. I seem to have an on and off relationship with skiing. I started skiing when I was in my pre or early teens (somewhere around 12, 13 or 14 I think). I skiied a lot when I was a teenager, mostly in eastern Canada and the eastern USA. Then when I started working after University, I gave it up due to lack of time and money. After 7 years, I picked up skiing again when I worked on a project over the winter in Denver, Colorado, followed by a project in California that allowed me to try out some of the resorts there. My last ski trip was the trip to Heavenly, California. 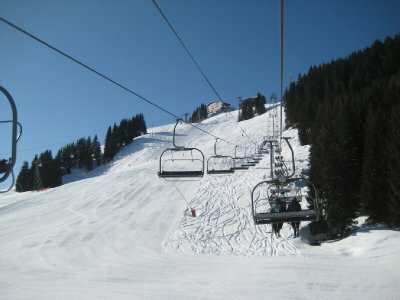 After that, I spent 13 months in Atlanta, which is not really a hot bed of snow skiing, and skiing left my life again. 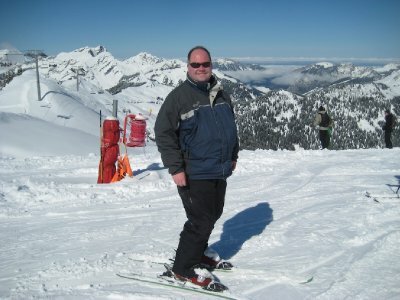 So it had been over 9 years since I last skied when a friend from London suggested a ski trip to the Alps. 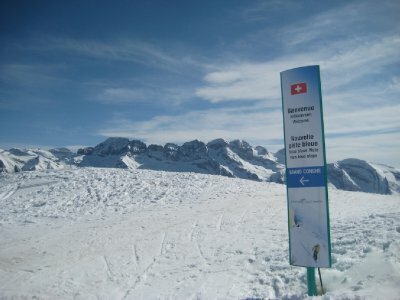 I had never skied in Europe, so how could I pass that up. 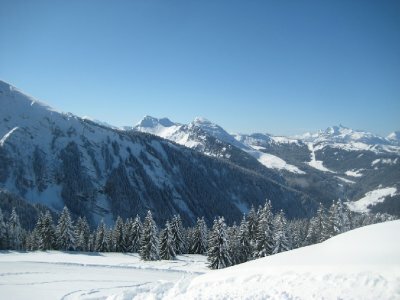 We spent a week in Morzine, France, part of the Portes du Soleil ski area spanning the border between France and Switzerland. We arrived on Sunday, March 18th to a heavy snowfall. The week before the weather was bright, warm and sunny, and there was some concern that the snow would have melted off the hills. 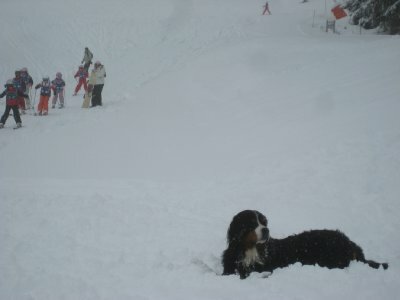 However, the snow continued through the next day, giving a hills an excellent coating of fresh snow and deep powder. 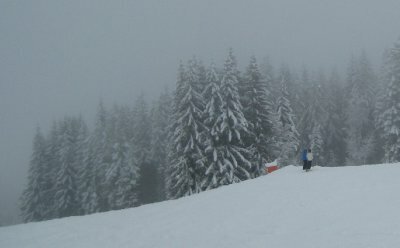 The snow was thick on the slopes that first day, and despite forgetting my goggles at home, it was a good day skiing. I got back after the first day we burning thighs. I jumped into the shower to clean up and soak my aching muscles. In the shower, I saw proof I had pushed hard. Embedded in my shins were small blue balls of fuzz from my thermals, pushed into my shins as I pressed against the front of my boots. 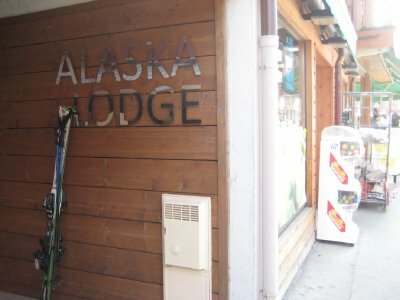 We were staying at an amazing chalet called Alaska right in the centre of Morzine. 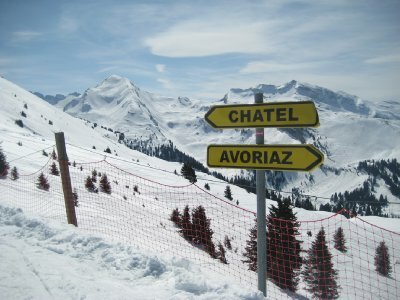 The chalet included a cook, chalet host and the services of a ski guide to take you around the mountains. I have never stayed at a fancy chalet before, and the experience was amazing. Good food, great advice from our hosts and champagne and canapes as apres ski. If there is any problem with staying in the chalet, it was that it was easy to over do it on the food and have too much. Tuesday we woke to a sunny day on the slopes. 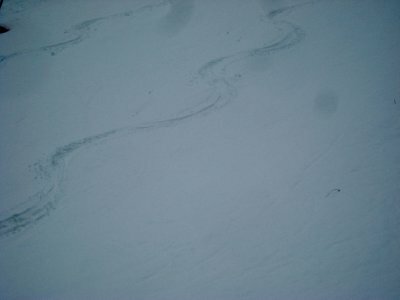 I headed out with one of our ski guides on Tuesday and skied over towards the Swiss border. 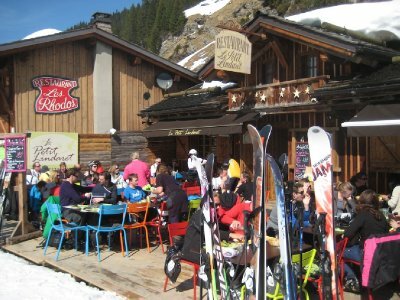 This being France, on hill dining is a little different than the burger and fries that seem to be de rigueur in North America last time I skied there. Restaurants dot the hills, offering sit down dining for hot meals. Lunches over the week included roast chicken, pizza, sausages and fresh salads. The week continued with sunny and warm weather. Beautiful spring skiing. One day I headed up to the top of Les Gets to check out Mont Blanc. 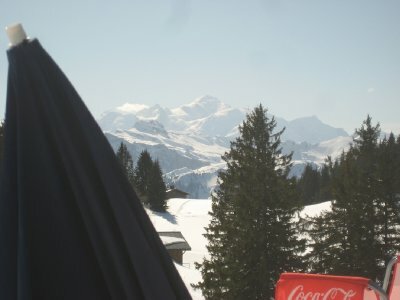 There are views of Mont Blanc from all around Morzine and Les Gets. 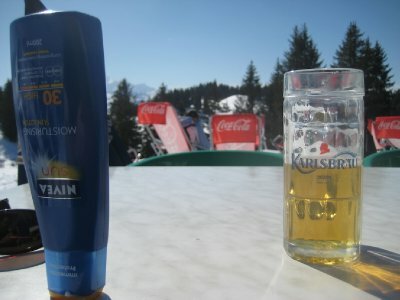 Sunny and warm, I decided to sit down and have a half pint (or demi, as the French call them) over looking Mont Blanc. 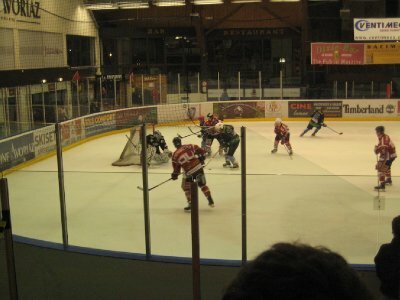 Off the slopes, we also went and saw the Morzine Penguins ice hockey team play an exhibition match against a team from Megeve. 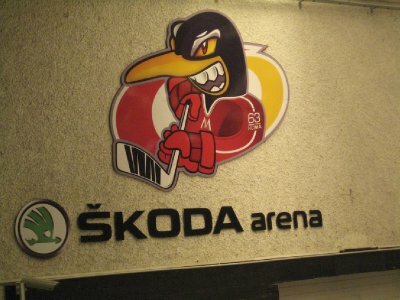 The Megeve team plays in a lesser league, so it was a fairly one sided match, ending with the Penguins winning 15 goals to 3. 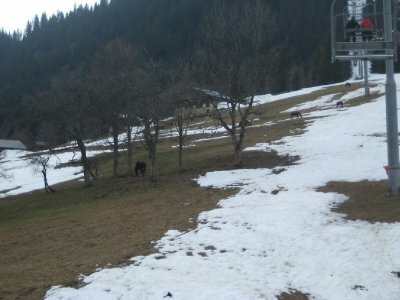 By the end of the week the sun had taken its toll on the snow on the slopes, exposing a lot of grass. One of the lifts goes over a horse farm, and the horses were enjoying an early spring forage. 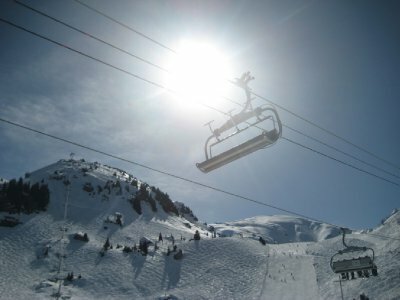 It was definitely good to get out skiing again, and get my first taste of European skiing. Hopefully it won't be the last.